Welding conforms to CSA and CWB W47 and W59. Maximum EPA and weight allowances are based on top-mounted luminaires and/or brackets having a centroid 2'6" above the mounting height. Complete with 1 fixture tenon or top cap and 1 fixture drilling. Complete with gasketed hand hole cover, ground clip, galvanized steel anchor bolts and base cover. Includes a 4" x 7" hand hole. Pole weight includes the pole shaft and base plate only. The base plate is provided with bolt holes 1/8" to 1/4" larger than the anchor bolt diameter. Standard finishes are black or bronze (brown) polyester powder, or galvanized. Div. 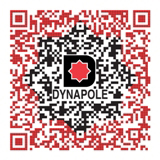 of Dynametal Industries Ltd. Copyright © 2018 Dynapole. All rights reserved.